In collaboration with Gray Area Foundation for the Arts, Re:Imagine Group is helping to design a first-of-its-kind Digital Arts District in San Francisco. Re:Imagine Group is involved in the development of a ballot measure that will help create the world's first Digital Arts District. 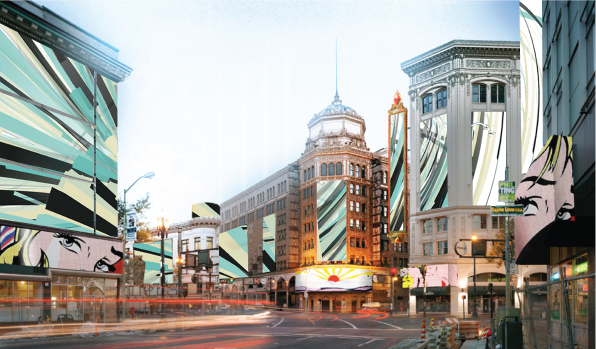 Through integrating carefully curated large-scale digital and interactive art along two blocks of Central Market Street in San Francisco, the project aims to foster the local arts community; support economic revitalization in the central market area; and restore the vibrancy of this location, which was once the heart of a thriving theater and arts district.